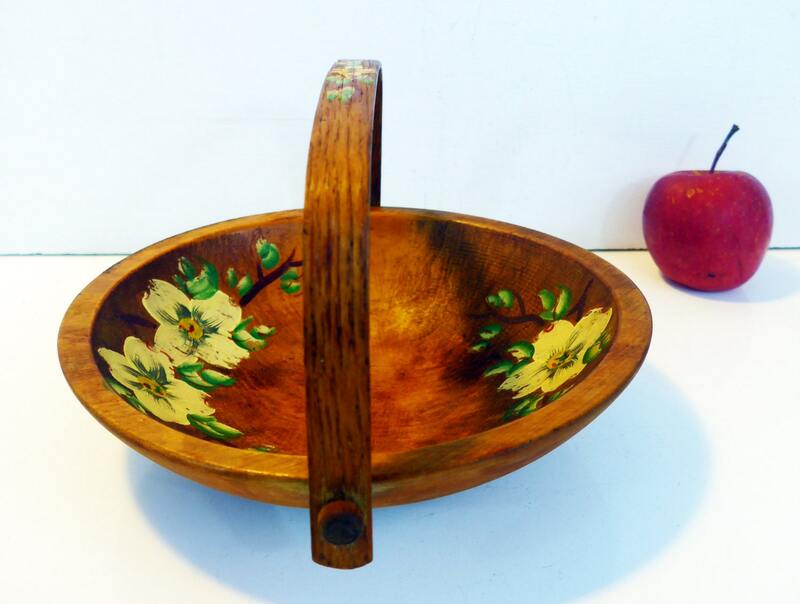 Colorful vintage wood fruit bowl is perfect for holding and displaying your fruits in your country kitchen. 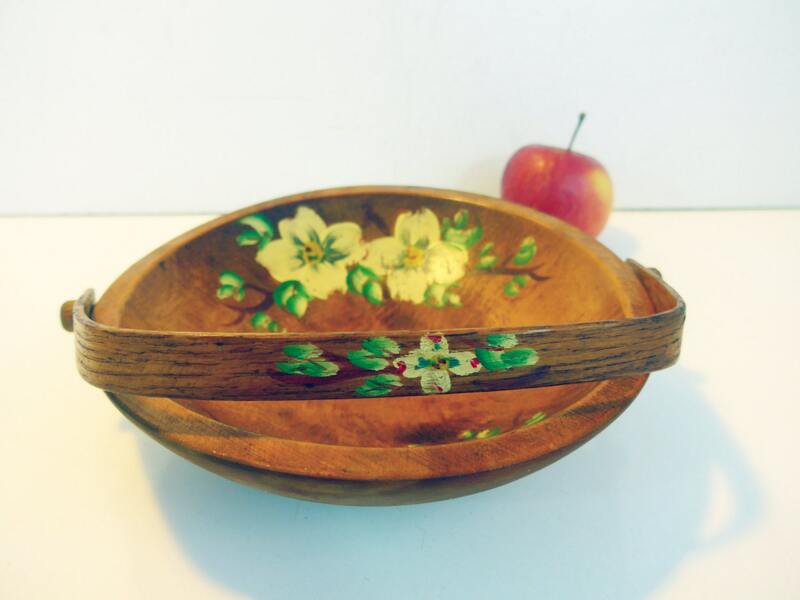 The bowl features handpainted yellow flowers on brown branches with green leaves both on the handle and on the interior of the bowl. 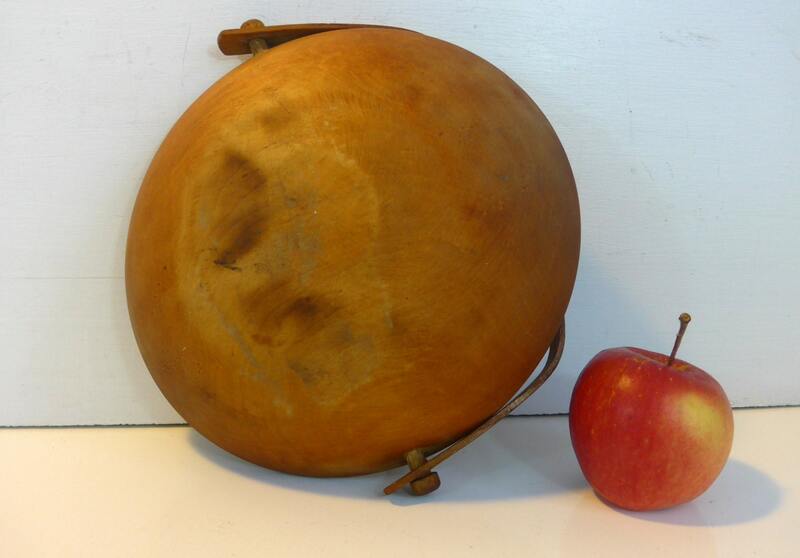 The wooden fruit bowl is about 8 1/2" in diameter. Is about 5 1/2" tall to top of handle when it is up. 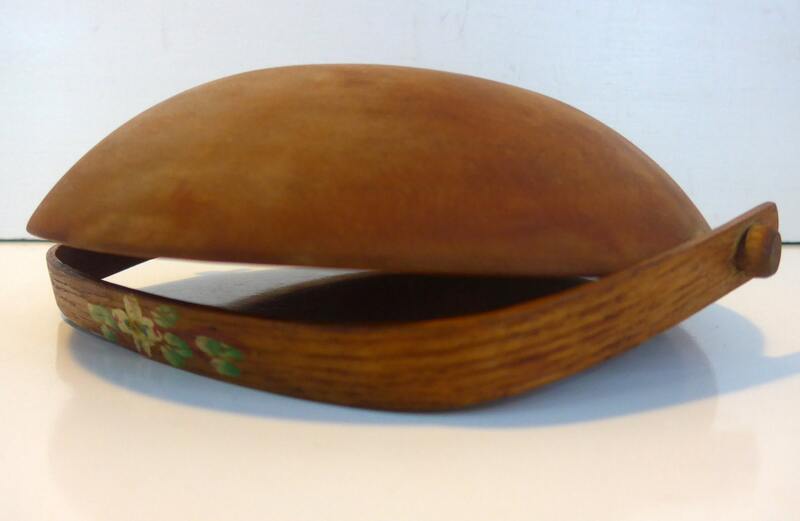 The bowl alone stands about 2" high. 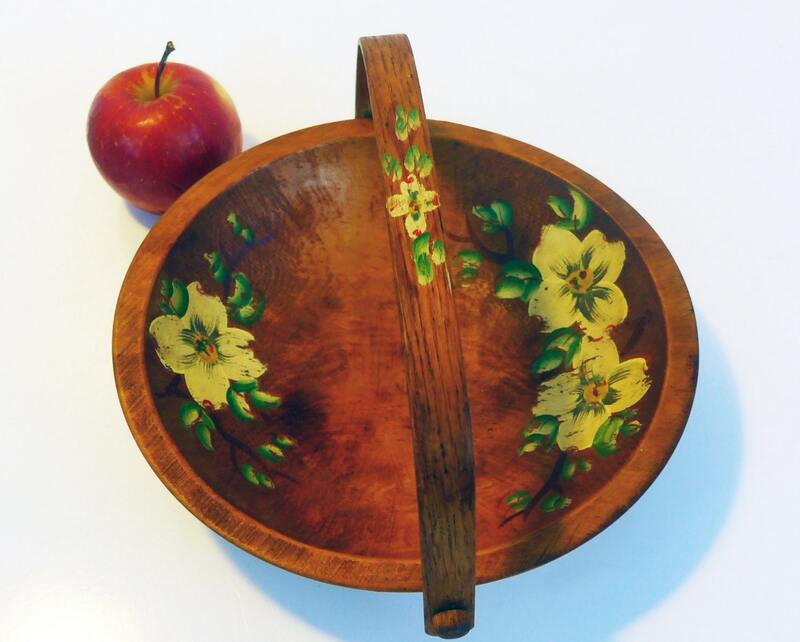 No splits or chips and In good overall vintage condition - some small signs or wear and discoloration areas that would be expected of an item of this age - see photos. All of these markings make this a delightful shabby chic or cottage chic or farmhouse kitchen decor item.